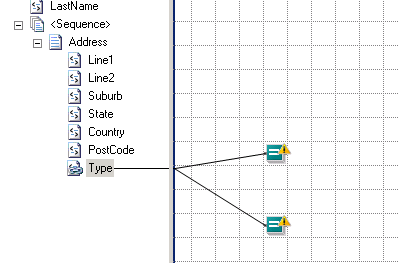 Earlier in the week I spent some time trying to accomplish what I thought was going to be a trivial task – mapping from a sequence structure to a flat file structure using BizTalk Development Tools. The main idea is to take a looping structure on the left hand side and map it to a flat structure on the right hand side. As it turns out, it’s pretty easy to do, and not complicated. I spent a lot of time trying to do something more dramatic, if you’re looking for this info, I think you’ll be surprised by how logical the solution is. Which means flattening the data from the left hand side to the right hand side – but how? First up, generate some test data. It’s a very good habit to get into, and it’s easy as pie. 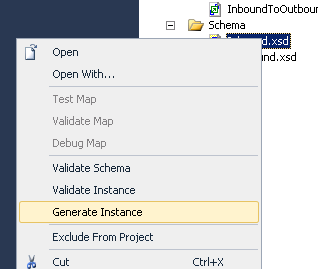 Right click on a schema and select “Generate Instance”. Modify the values so they’re easy to debug with and you’re set. 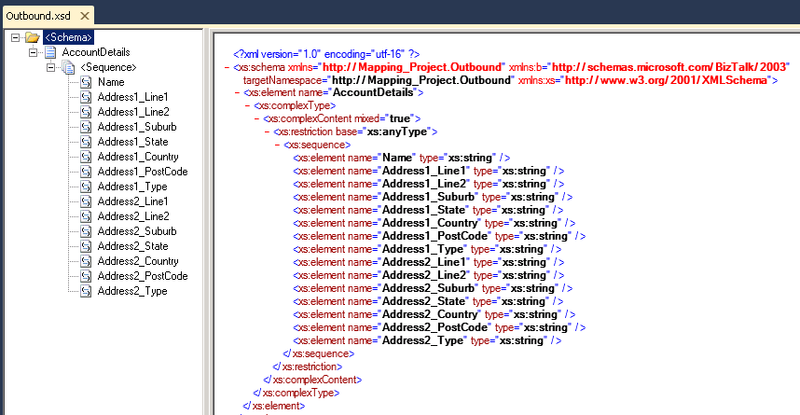 Let’s look at how we transform this simple XML. The answer, as it turns out is blindingly simple. Now, let’s assume we want to apply a condition to how we separate the data on the left hand side. Let’s assume there will be two types of addresses (Home and Work). 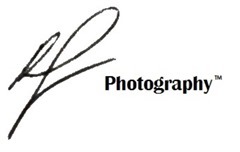 Our aim is to assign all the “Address 1” address details as “Home”, and all the “Address 2” details as “Work”. 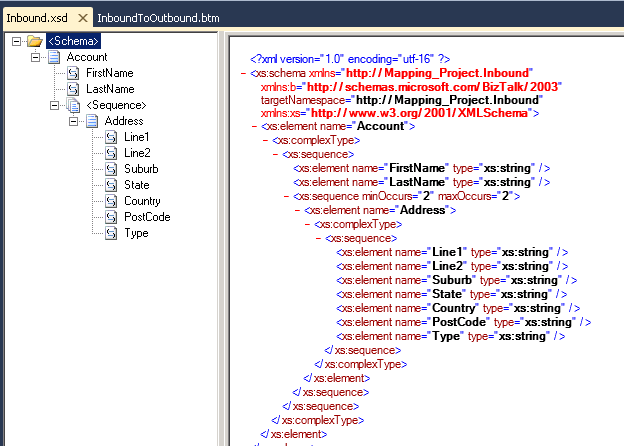 Drop two Logical EQUALs functoids onto the map and join them to the “Type” attribute. Then, open each functoid and we’ll set the comparison value to ‘Home’ and ‘Work’ respectively (omit the quotes). This applies the logic to split the output. 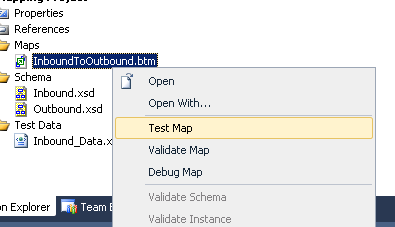 Now, assign all the attributes directly across to their destination. Next, connect each equals functoid to the destination it reflects, i.e. 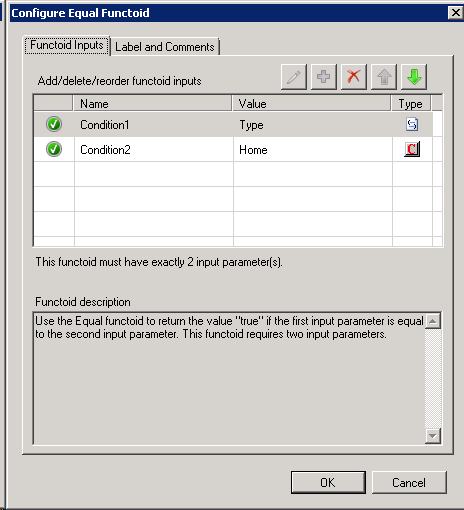 connect the functoid for “Home” to each of the “Address 1” properties, etc. Don’t forget to map the “Type” too, if you want to capture that detail. TestMap used the following file: <file:///C:\Dev\BizTalk\Mapping\Mapping Project\Test Data\Inbound_Data.xml> as input to the map. There were some warnings about multiple mappings, but I didn’t find the absence of a looping functoid to be a problem. I realise this is a pretty obvious and simple mapping, but when I went looking for examples about how to solve this type of mapping, I couldn’t find much at all (including from e-books). 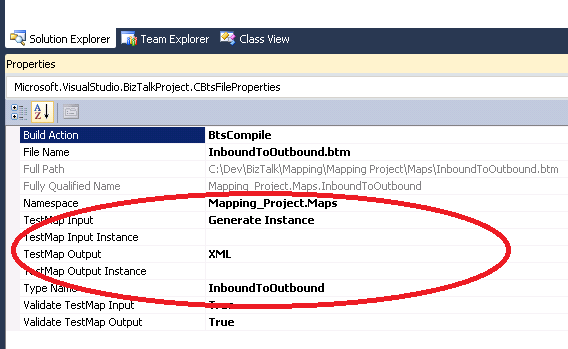 There’ll be more on BizTalk mapping and other fun stuff in some upcoming articles.